This article is about the band. For the album, see The Towels (album). 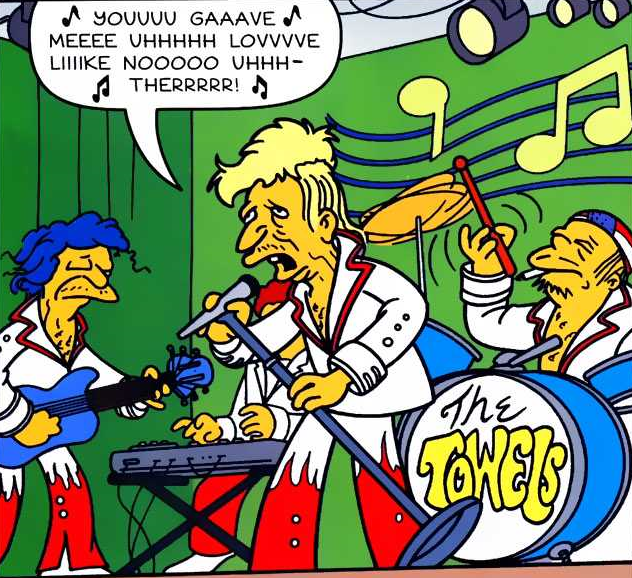 The Towels is a rock band that Homer likes. Homer was happy when he learnt that rock band The Towels would be performing at a state fair. When he came to the state fair and started to listen to the band he realized that he just liked their The Towels. Modified on November 20, 2016, at 12:06.